Reinaldo Escobar, Havana, 31 October 2014 – For the first and last time, I saw him from afar for a fraction of a second on 21 October 1959, the day he passed through Camaguey to arrest Comandante Huber Matos. No one understood anything, but the presence of Camilo in the midst of the confusion gave us confidence that everything would be solved in the best possible way. The details of the moment when his disappearance was reported (a week later) has been erased from my memory, but I haven’t forgotten that instant when they announced the false news that he had been found. People on the streets brought out flags and pictures of the Virgin of Charity. The joy was brief, but unforgettable. How is it possible that in all these years, when not a single square yard remains unexplored, that not a single vestige has appeared (…)? If he had survived what happened and not been involved in another similar incident, Camilo Cienfuegos would today be another octogenarian at the summit of power. If he had not been sacked, imprisoned or shot, he would be burdened today with the responsibility for a national disaster. We would no longer be discussing if he was more popular than the “other one,” but if he was as guilty. Right now, as I write these lines, students are marching along the Malecon with flowers, the people who work in offices are leaving earlier than usual because they are going to throw flowers in the sea for Camilo. A ritual now lacking the emotions of the first years, when those who went to the shore to pay homage did so with tears in their eyes, and without having to be summoned by the director of a workplace or the principal of a school. Death has immortalized among us his cheerful and popular image. If there is something beyond, and from that place he is watching us, he must feel happy to have disappeared in time. The death saved him from the ignominy, and the probable temptation of corruption and the humiliation of having been treated as a traitor and as an accomplice. Reinaldo Escobar (1947), an independent journalist since 1989, writes from Cuba where he was born and continues to live. 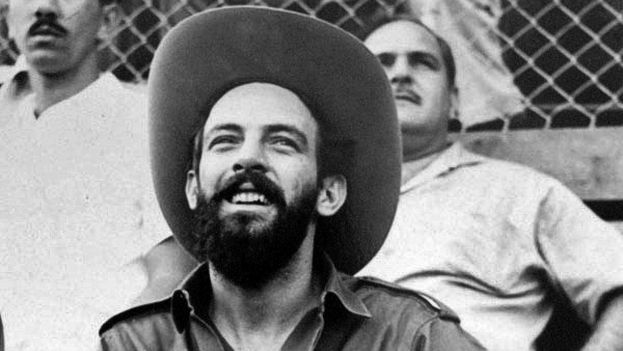 He received his degree in Journalism from the University of Havana in 1971 and subsequently worked for different Cuban publications. His articles can be found in various European publications, and in the digital magazines "Cuba Encuentro" and "Contodos." Desde Aquí/From Here is a personal undertaking born from the need to write about those topics that fill my head every day but that cannot find a space in the official Cuban media. I like your stories. Maybe we can meet in Havana. I will be there next month. so let me know. I am interested in Cuban culture.